Many people think of digital signage as a two trick pony, used only for wayfinding and marketing. That’s a little like saying a bird can fly only to the top of its cage: That might be true, but the minute you open that birdcage door…well, we know what happens. Like the caged bird, digital signage is only limited by the bars you put around it, and it certainly does more than peddle products and provide directions. A variety of new applications promise to improve digital signage’s capabilities, in everything from transportation safety to social experiences. Though I’ve discussed before how digital signage can be used for marketing, it’s unwise to ignore its possibilities beyond that. In the most compelling new application, digital signage can actually help save lives. Consider this: If current statistics hold, more people will be killed in accidents involving the long-haul trucking industry than have died in all the domestic airplane crashes in the United States in the past 45 years. The good news? A new digital signage application is set to change that. Samsung recently announced a new safety feature for big rig trucks that relies on digital displays. The displays—mounted on the back of a truck trailer—are connected to a camera on the front of the truck and project an image of the road ahead to drivers behind the truck. This feature will allow drivers to effectively see around the truck, giving them more time to react to any upcoming road conditions. Anyone driving down an interstate behind a massive transport truck can appreciate the usefulness of this application. Because the technology of these displays is designed for digital signage purposes, they are perfectly suited for the rough conditions of the open road—visible day or night, and weatherproof. Much more than a marketing tool, in this case, digital signage can make for much safer driving. Unlike static signage, digital signage can help us solve problems with real-time information. The possibilities are vast—education, medicine, food service, and many other industries are already making use of digital signage to provide important updates and options. For example, universities with large campuses or multiple locations use digital signage to create a sense of community and share real-time updates across a large geographic area. They provide event schedule information, weather and safety updates, and other important information, all while unifying the campus experience. Digital signage can also help solve facility management problems in many industries by providing up-to-date information on deliveries and other important business functions. In less serious but still important ways, digital signage can be deployed to bring important live social information into new spaces. With more flexibility than a TV, signage can stream sports games and other live events while retaining other functionalities. One exciting new social application for digital signage is creating interactive experiences. Smart signage can offer interactive games and trivia to create unique social experiences for any user with a smartphone. Consider it a tool for connectivity—and its uses are endless—from working to create stronger company culture or interacting with clients on a more personal level. Smart signage is more than a plain screen—it can change content based on time of day, geographic location, and a slew of other factors to provide the most timely, relevant information. It can also be outfitted with sensors to read a person’s height and how they far they are to the sign. This information can be used to project different messages based on the person’s proximity. For example, interactive airport signage adjusts the level of detail it offers a person based on where they’re standing. When a sign senses a person at a distance of 30 feet or more, it provides basic information on time and weather conditions. The idea is that a person can’t read a lot of detail from that distance and probably doesn’t need to know more than the essential information. 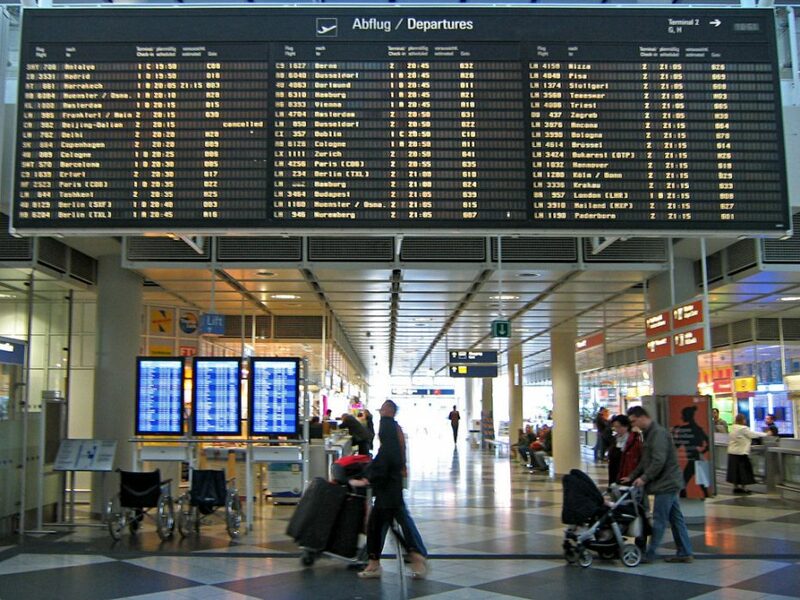 When a person approaches closer, however, they may be looking for more detailed flight information, and the sign changes to display flight cancellations and gate information. None of these innovations would be possible without the technology that makes digital signage come to life. Don’t get stuck in the trap of assuming that digital signage is only a tool for marketing. From making our lives safer to making them more enjoyable, digital signage offers a wide range of possibilities to anyone with imagination, and the wings to fly.